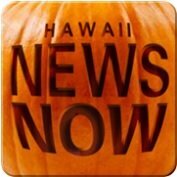 News TV Channel / Hawaii News Now (also abbreviated as HNN) is the name of the news department shared by three television stations in Honolulu, Hawaii: CBS affiliate KGMB (channel 7), MyNetworkTV affiliate KFVE (channel 5) and NBC affiliate KHNL (channel 8). The newscasts are produced by Raycom Media, which owns KGMB and KHNL and operates KFVE (owned by MCG Capital Corporation) through a shared services agreement. It also has a partnership with KBFD, which uses KGMB's taped on the field stories during KBFD's 11 p.m Korean-language newscast with Korean language subtitles.